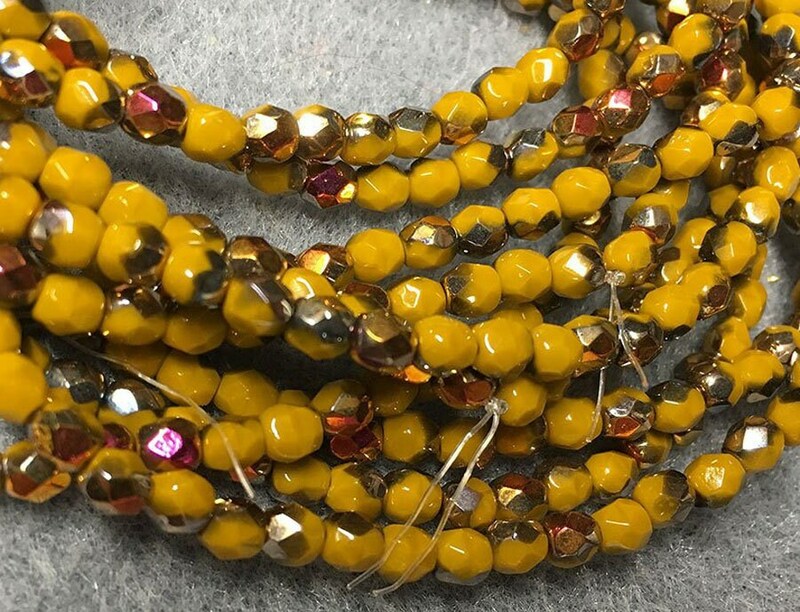 Mustard Luster with Pink/Bronze Luster Finish Czech Glass Firepolished Crystal Beads 4mm. 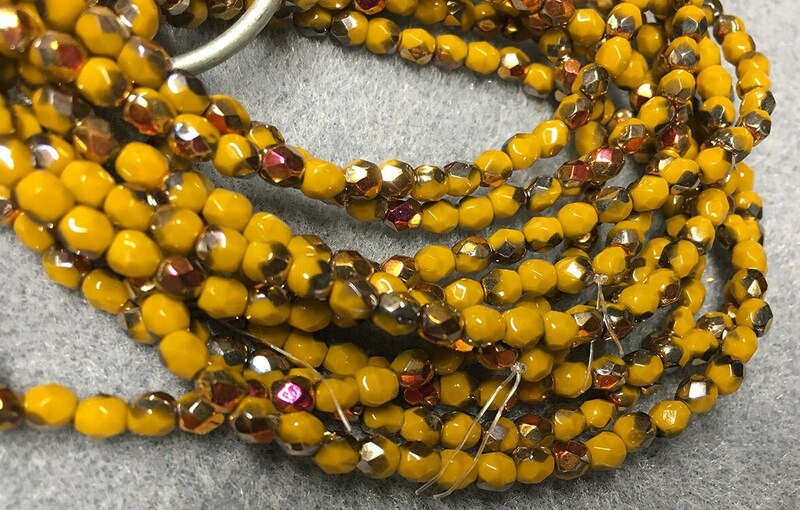 One strand of 50 Opaque mustard with a pink/bronze luster finish, Czech fire polished crystal beads. These beads measure 4mm. Add some sparkle to your jewelry creations! You can find lots of fire polished crystals in many colors in the Czech Beads and Crystals section of my shop - https://www.etsy.com/shop/southpassbeads?section_id=6077842.